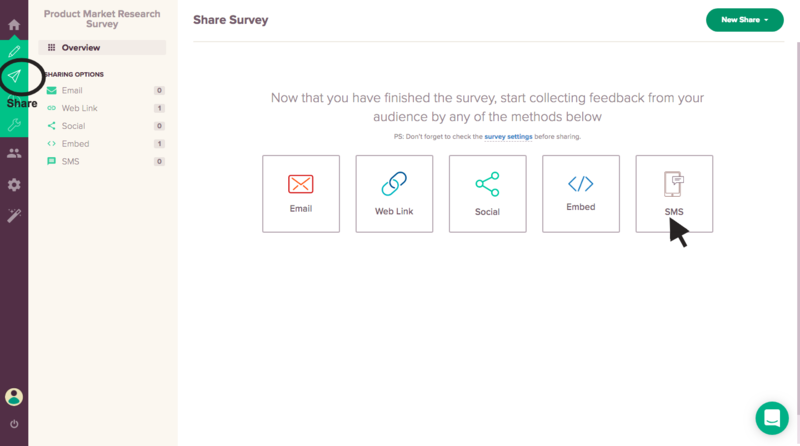 You can now share your surveys with your audience anywhere, anytime using the SMS share option. An SMS will be triggered to the corresponding phone number registered asking the respondent to take the survey. This offers immense flexibility to your audience for taking the survey according to their convenience. And, this directly translates into higher completion rates for your survey. Please note that this feature is part of our Enterprise plan. Do ensure that you have added the phone numbers of your contacts in the E.164 format. Click on the Share icon in your account Home page. 2. 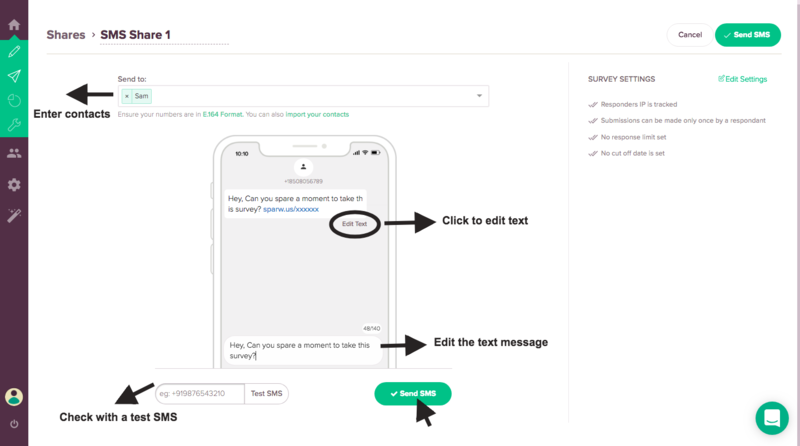 Enter the contacts to which you wish to send your survey to. You can also import your contacts. You can edit the text of your text message and send test SMS to any number for checking before you send it to your contacts.